Cutting down trees for roads for a ‘worst-case’ scenario of 6.9 million population is not planning for the future. It is kiasu, kiasi, wreckless and simply unforgivable. 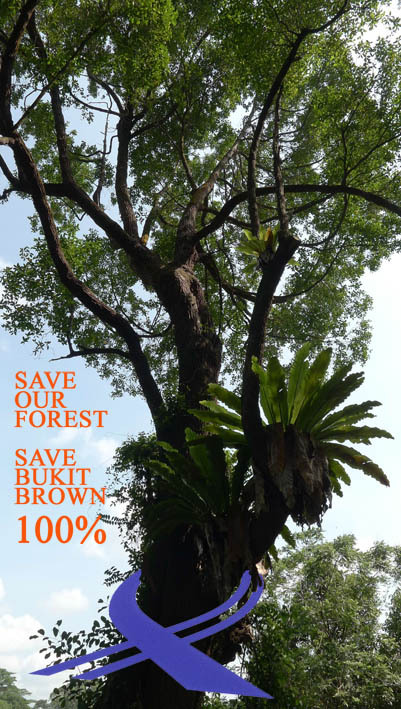 SOS Bukit Brown calls for a moratorium on the LTA’s road plans for Bukit Brown because cutting the forests is destroying the climate for the future generations. Hence, the government needs to be prudent and wise when making such decisions. No to the highway for now. Let’s stop and rethink for the future generations.